The Staff Selection Commission (SSC) will be conducting the all India entrance exam from 7-1-2017 to 5-2-2017 to fill various vacancies of Data Entry Operators (DEO) and Lower Division Clerk (LDC’s) and New post Postal Assistant / Sorting Assistant and Court Clerk is also introduced under SSC CHSL Recruitment drive 2016. A large number of candidates were waiting for SSC CHSL Recruitment Notification 2016. 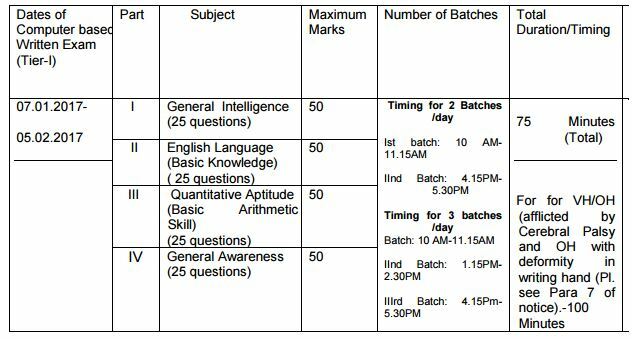 The candidates who are preparing for SSC CHSL Exam 2016 need to check the latest SSC CHSL Exam Syllabus and Exam Pattern so that they can prepare a better and neat time table by covering all the topics as per official syllabus and pattern. It would enable you to keep a tab on the subjects that you are required to study for the exam. As you know that lakhs of candidates will apply for this Recruitment, the competition level will be very high. If you don’t prepare well, it is too difficult to get selection in SSC CHSL Exam. So you have to be aware Syllabus & Exam Pattern. 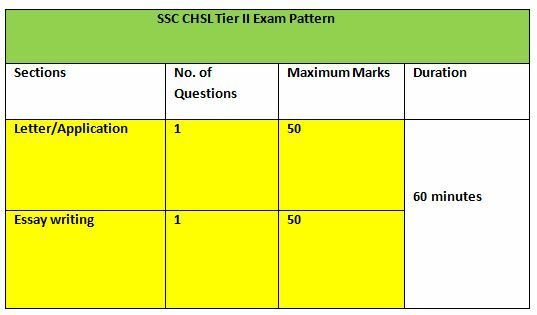 So here we are going to update the Latest and Complete Syllabus and Exam Pattern of SSC CHSL 2016. Now SSC CHSL also will be conducted Tier -I through Online Mode. Tier -II Introduce a descriptive paper of 100 marks within 60 minutes in pen and paper mode. Reduce the Number of questions of Tier -I from 200 to 100. Negative marking will be 0.50. Tier II and Tier -III will remain same. SSC CHSL 2016 Syllabus for General Intelligence and Reasoning will include questions on Analogy, Symbolic operations, Symbolic/Number Analogy, Space Orientation, Venn Diagrams, Symbolic/Number Classification, Drawing inferences, Figural Classification, Punched hole/pattern-folding & unfolding , Series, Figural Pattern – folding and completion, Number Series, Embedded figures, Figural Series, Critical Thinking, Problem Solving, Emotional Intelligence, Word Building, Social Intelligence, Coding and de-coding, syllogisms, mirror images and water images, cube and dice etc. SSC CHSL 2015 Syllabus for English language section consists of Spot the Error, Fill in the Blanks, Synonyms/Antonyms, Spellings/ Detecting Mis-spelt words, Idioms & Phrases, One word substitution, Improvement of Sentences, Active/Passive Voice of Verbs, Conversion into Direct/Indirect narration, Shuffling of Sentence parts, Shuffling of Sentences in a passage, Cloze Passage, Comprehension Passage. Questions in SSC CHSL 2016 of General Awareness section are based on knowledge of current affairs, facts relating to India’s History, Culture, Geography, Economic Scene, General policy and scientific research and Neighbouring Countries. Arithmetic: Number Systems: Computation of Whole Number, Decimal and Fractions, Relationship between numbers Fundamental arithmetical operations: Percentages, Ratio and Proportion, Square roots, Averages, Interest (Simple and Compound), Profit and Loss, Discount, Partnership Business, Mixture and Alligation, Time and distance, Time and work. Geometry: Triangle and its various kinds of centres, Congruence and similarity of triangles, Circle and its chords, tangents, angles subtended by chords of a circle, common tangents to two or more circles. NOTE: For Visually Handicapped candidates of 40% and above visual disability and opting for SCRIBES there will be no questions of Maps/Graphs/Diagrams/Statistical Data. Q1.Write a letter in 200 words to Sports Secretary, Department of Sports, Government of India, giving your assessment about the performance of India in Rio Olympic games and suggestion on how can improve in next Olympic games. Q2. Write an essay on ” Swacch Bharat Mission” in about 250 words. Note: The candidates who clear Descriptive Test will be called to attempt the skill test & Typing Test. Skill Test (DEST) Pattern: It is of QUALIFYING nature. Candidates should possess Data Entry Speed of 8,000 key depressions per hour on computer. They will be given printed matter in English which they have to type on computer. The test is of 15 minutes and candidates should have a minimum speed of 2000-2200 strokes/key-depressions in order to qualify. Also typing speed of MS office will also be tested. Typing Test will be conducted only in English or Hindi and candidates while applying for the Examination will have to indicate his/her choice/option for Typing Test Medium in the Application Form. Candidates opting for English medium should have typing speed of 35 words per minute and those opting for Hindi medium should have typing speed of 30 words per minute. 35 wpm. Corresponds to 10500 key depressions per hour and 30 wpm corresponds to 9000 key depressions per hour. The speed will be adjudged on the accuracy of typing on the computer of a given text passage in 10 minutes. Visually Handicapped candidates (with 40% disability and above) will be allowed 30 minutes. In English the passage to be typed in 10 minutes has 1750 key depressions and in Hindi it has 900.